Okay, okay, okay, I know that sounds gross. But I promise it isn't. A couple weeks ago I made a butternut squash soup that was, well, soupy. So instead of adding milk I added avocado. You couldn't even taste it. So I have been thinking about this. I love avocados. They are loaded in health benefits. What if I added them to more things? 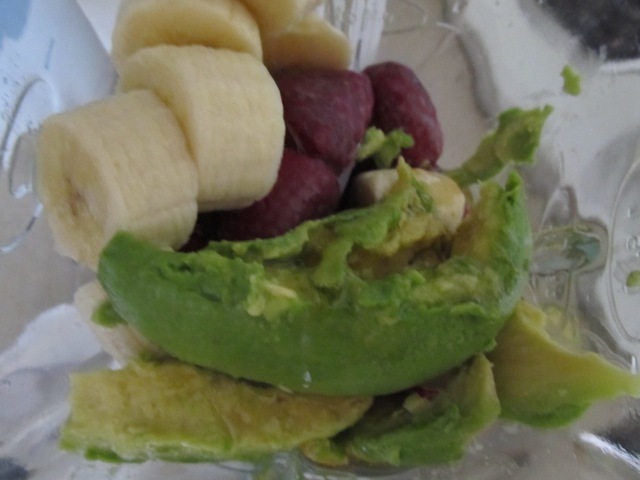 Last week I made this Super banana, berry, avocado smoothie with milk and raw honey. It's loaded with calcium, potassium, vitamins C,K, and B6. a cup of milk and a little honey to sweeten.